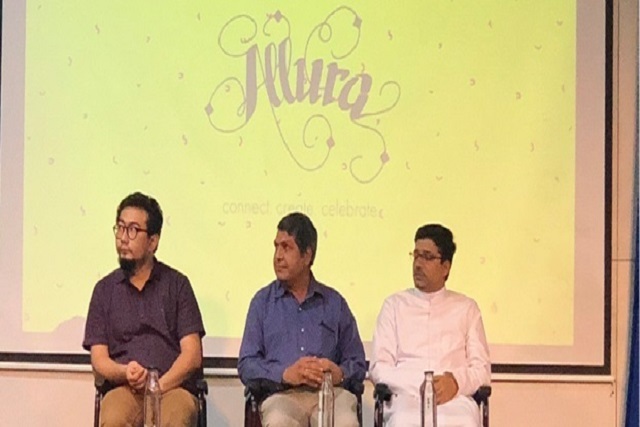 “Beautiful festival of creative people,” said St Joseph’s College (Autonomous) Vice-Principal Fr William Marcel Rodrigues at the inauguration of Allura 2018 on Thursday. The sixth edition Allura — the annual national level Media and Arts Festival of the college’s Department of Media and Communication — this year has Typography as its theme. from different walks of the artistic world — photography, film, design and branding, and even advertising. The festival, being organised on August 30 and 31 in the college, is also exhibiting paintings, sketches, digital artwork, and art installations, curated by adept artists. Vice-Principal Dr Melwyn Colaco said: “This kind of exposure enhances social interaction, leadership and self-confidence among students.” He added that modern and traditional media and art mirrors the Indian idea of being united in diversity.